Once you installed the plug-in restart the browser. You are now ready to run the test. 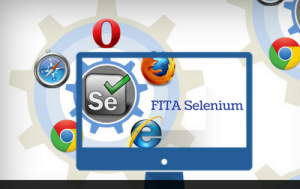 In the ‘Tools’ tab of your Firefox browser, you can see the Selenium IDE option.In the Selenium window, you can see the Menu bar, Toolbar, URL bar, Test Case Panel, Editor. The options available in the Menu bar are File, Edit, Options, help sub-menus, Actions. File menu option allows you to generate new, open existing and save current test cases. The selected test cases will suites to the coding which is supported by Web Driver frameworks and Selenium RC. This allows the developers to set and control the speed of playback while recording and playing the test cases and test suites.